“One of the latest disruptive trends investors are looking to capitalize on in 2019 is professional video gaming,” says Benzinga’s Luis Aureliano. Here are all of the details investors should know as they dip into a potentially lucrative and rapidly growing industry. 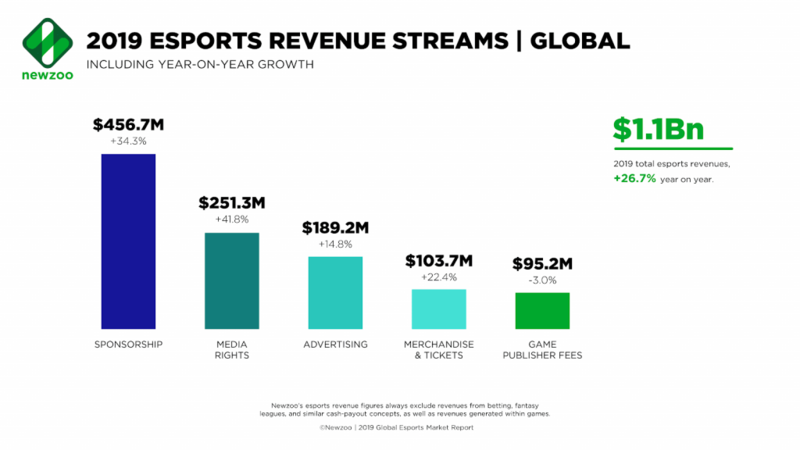 Not only are audiences clamoring for esports they are doing so on innovative platforms which break the traditional televised mold for viewing your favorite sports. Which platform is king of esports viewership? That crown belongs to “Twitch,” which was acquired by Amazon for $970 million in 2014. 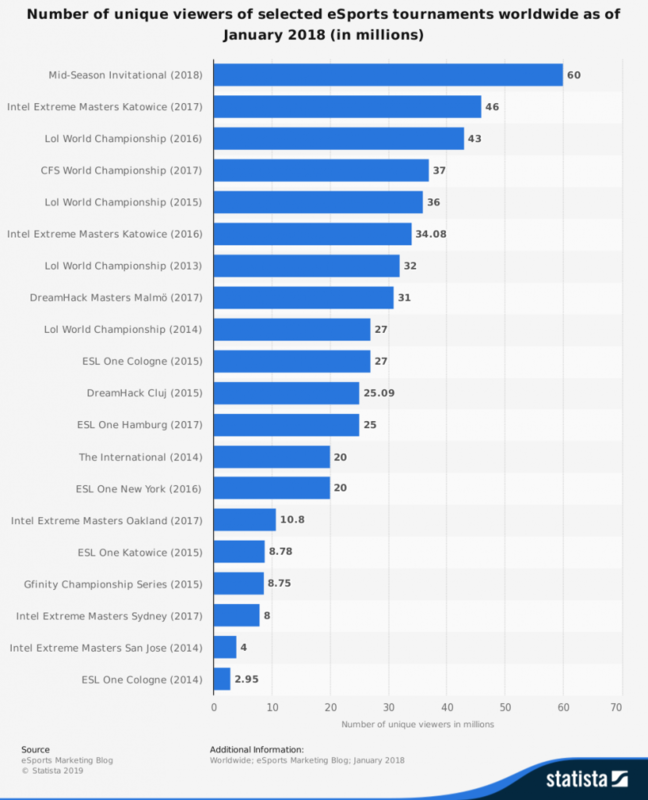 How does viewership stack up with traditional sports? Spectators enjoy the state-of-the-art League of Legends Championship Series Studio located at Riot Games in Santa Monica, CA. “Compared to just years ago, viewership for esports has grown significantly, particularly for League of Legends, the most popular competitive game,” says Aureliano. Besides keeping an eye on streaming partnerships and viewership what other areas worth monitoring for potential investment opportunities? Formation of Professional Teams: Surely we should keep an eye on the companies producing top games like Activision and Riot Games. We should also keep an eye on the development of subsequent professional teams for games like NBA2k, League of Legends, and Overwatch. 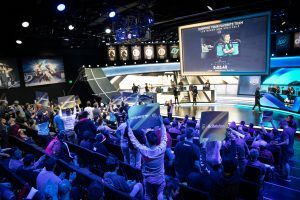 Fans enjoy an Overwatch League match, OWL’s first season featured a dozen teams, including nine in the US, as well as clubs in China, South Korea, and the United Kingdom. “Consider Activision Blizzard’s Overwatch as an example again since the title was one of the first games launched with esports already in mind. New Arenas: Every team needs a homecourt right? Philadelphia is the latest to commit to a dedicated venue for esports. 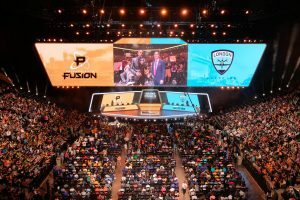 The “Philadelphia Fusion,” members of Activision/Blizzard’s Overwatch League are partnering with Comcast Corporation to build a $50 million esports-specific arena; the first in the league. Set to be built in the same massive complex which also hosts the Eagles, Flyers, 76ers, and Phillies, the 60,000 square foot arena is expected to seat 3,500 spectators and include training and broadcasting facilities as well. 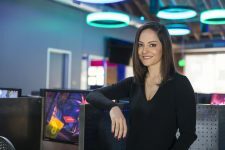 Naz Aletha, Head of Esports Partnerships at Riot Games & Keynote Speaker at the upcoming Future Forum. Compared to the well-established world of professional sports, esports offers a unique opportunity for investors to still gain access during the industry’s infancy. Want to experience one of the world’s top esports venue’s for yourself? 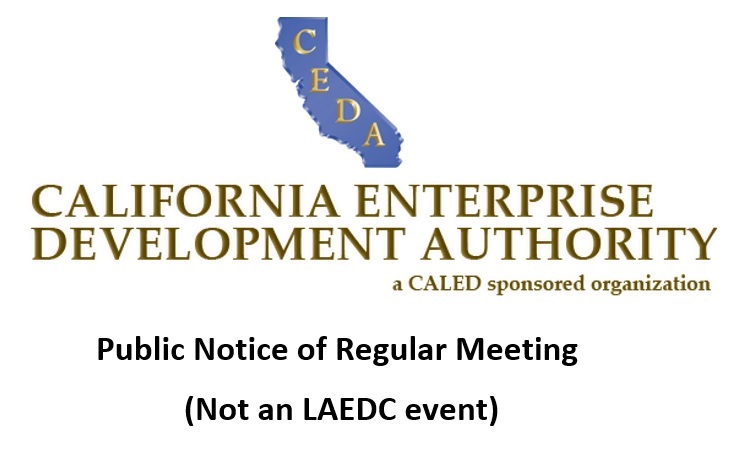 REGISTER NOW for the LAEDC’s upcoming Future Forum: The Future of Esports in L.A. hosted from the League of Legends Championship Series Studio at Riot Games and featuring Keynote Speaker, Naz Aletaha, Head of Esports Partnerships, Riot Games. Space is limited, secure your spot today! Thanks for the information! E-Sports are new and upcoming so it is always good to be informed about how to invest smart. Looking forward to reading more!